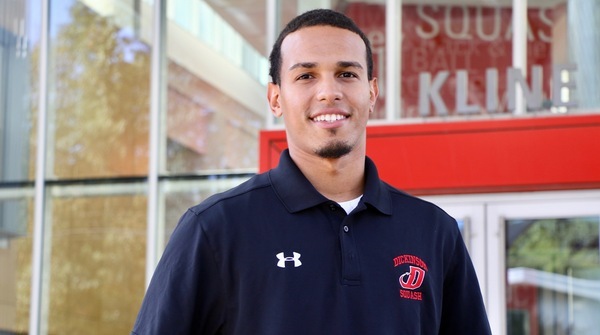 CitySquash alumnus and Director of Squash Chris Fernandez has been named the new Men’s and Women’s Head Squash Coach of Dickinson College. 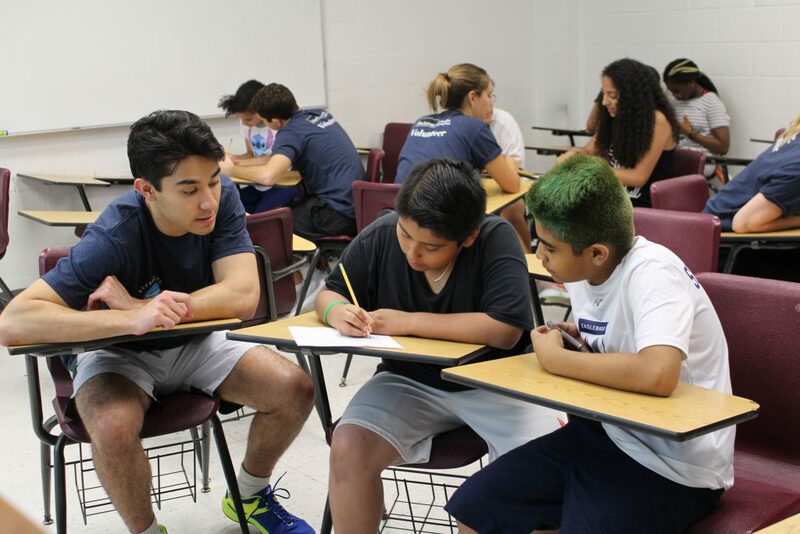 Fernandez becomes the first urban squash alumnus to lead a varsity college program. “I am truly grateful for such an opportunity and look forward to making urban squash, Dickinson and everyone who’s supported me proud,” Fernandez said. Both of Dickinson’s teams finished in the top-20 in the country last year. Fernandez first stepped onto the squash court in 2004 as part of the second cohort ever to try out for CitySquash. Chris went on to win a scholarship to the Canterbury School in Connecticut and then moved on to St. Lawrence University, where as a senior, he captained the men’s squash team that was a National Championship finalist. 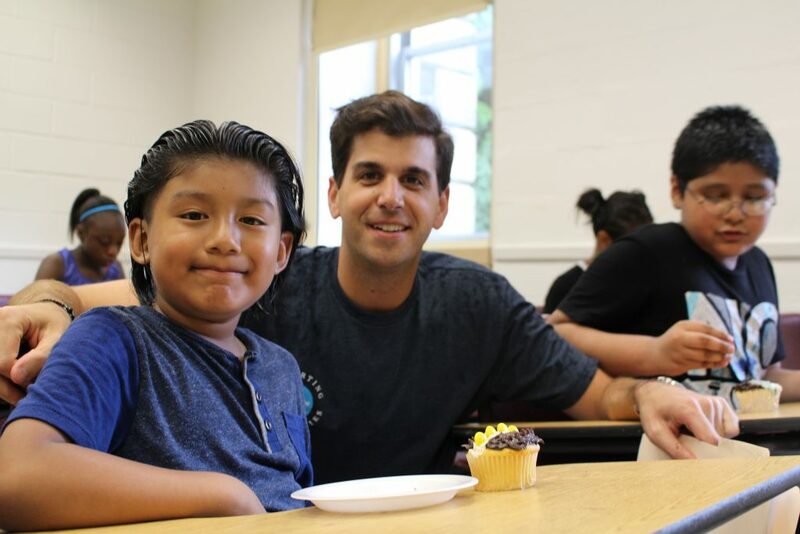 For the past three years, he has served as CitySquash’s Director of Squash in the Bronx. Read more about the announcement here. Please join us in thanking Chris for his dedicated coaching and best of luck at the collegiate level! Hiking, Team-Building, and Fun in Lake Placid! 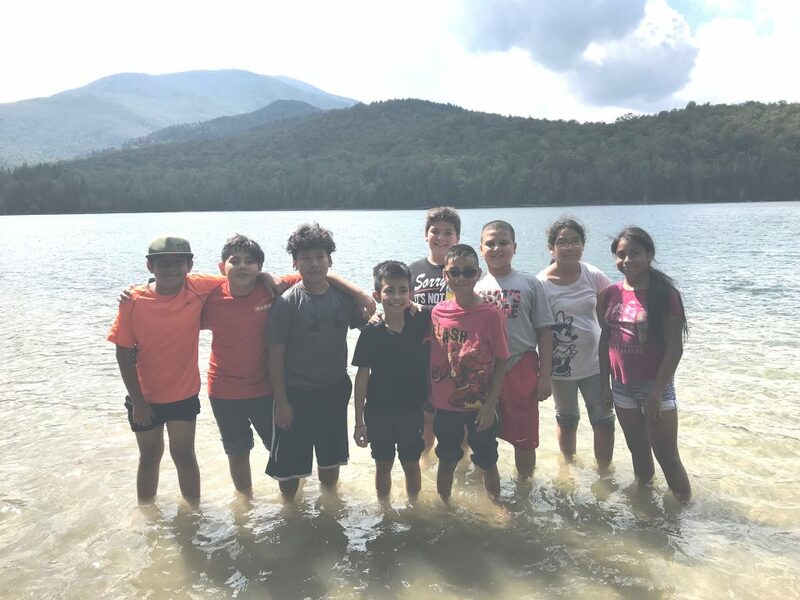 Over 100 CitySquash team members, alumni, and staff from the Bronx and Brooklyn sites traveled to Lake Placid at the end of August for our annual wilderness retreat. 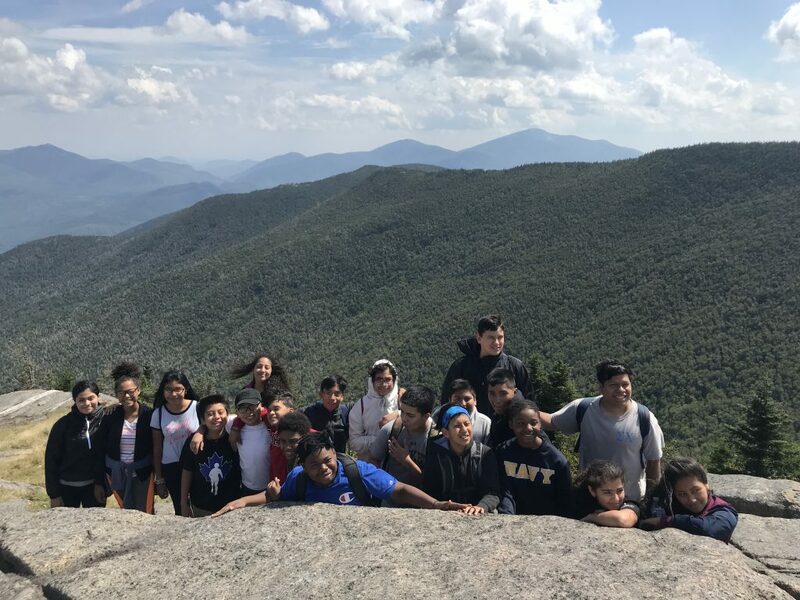 Activities included team-building games, swimming, competing in a multi-day Cabin Color Challenge, and hiking up one of the Adirondack high peaks. 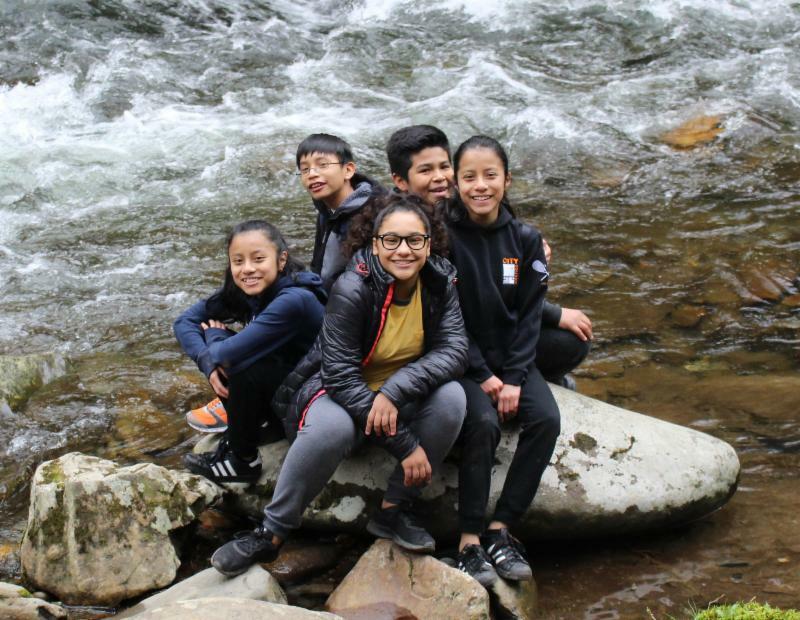 The retreat provided CitySquash with a unique opportunity to bring team members of all ages and locations together, allowing for both bonding and reflection as we kickoff another programming year. 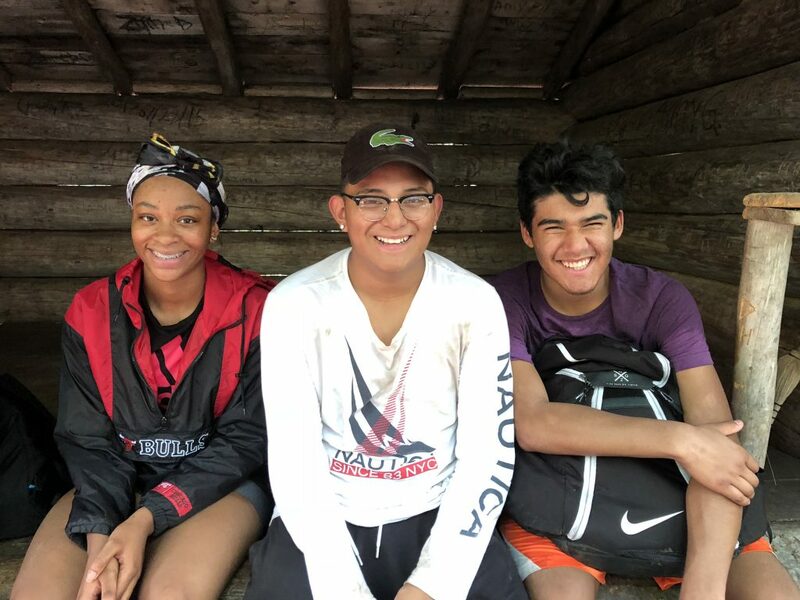 This was especially on display at the final campfire, when team members got to enjoy s’mores and listen to some of the high school seniors and alumni reflect on their journeys through CitySquash. A big thank you to the Reiss Family for hosting the team in Lake Placid! See below for some picture from the memorable week! 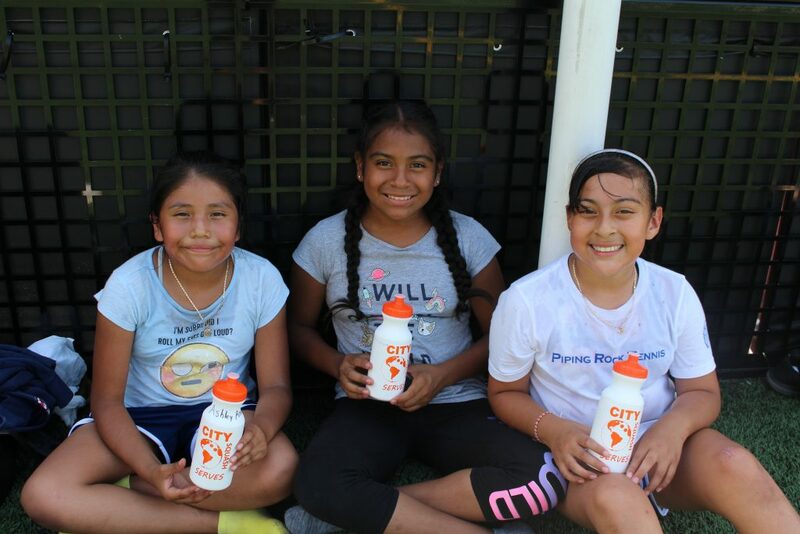 First Annual CitySquash Serves a Success! 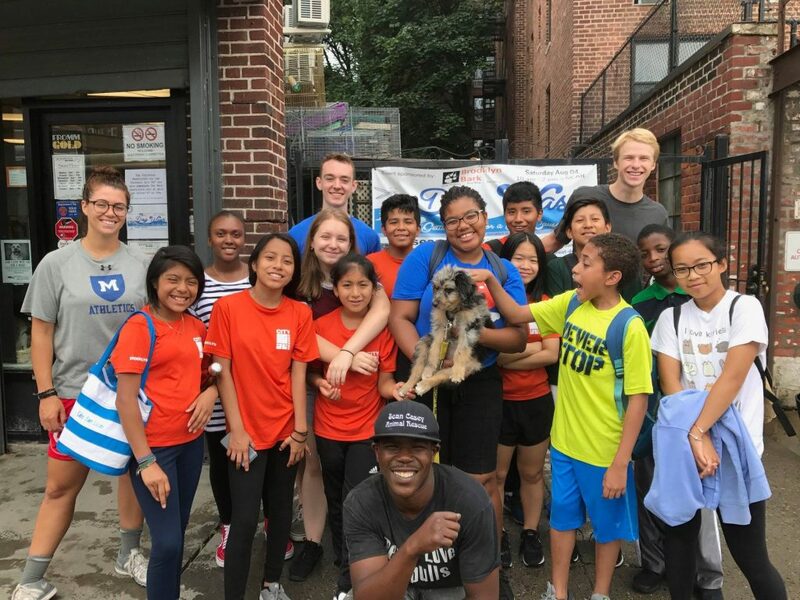 CitySquash team members, family members, staff, and board fanned out into the Bronx, Brooklyn, and Manhattan for the first annual CitySquash Serves day of community service! 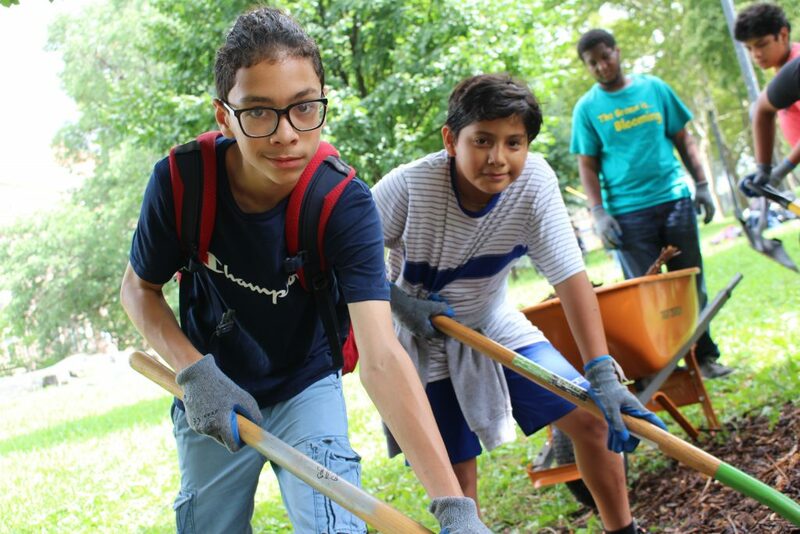 125 participants in total rolled up their sleeves across 7 service projects, including delivering meals to home-bound seniors, removing invasive plants along the Bronx River, walking dogs at an animal shelter, and packing lunches for Habitat for Humanity volunteers. Afterwords, groups reflected on their projects and impact before coming back together at Fordham University for a celebration. 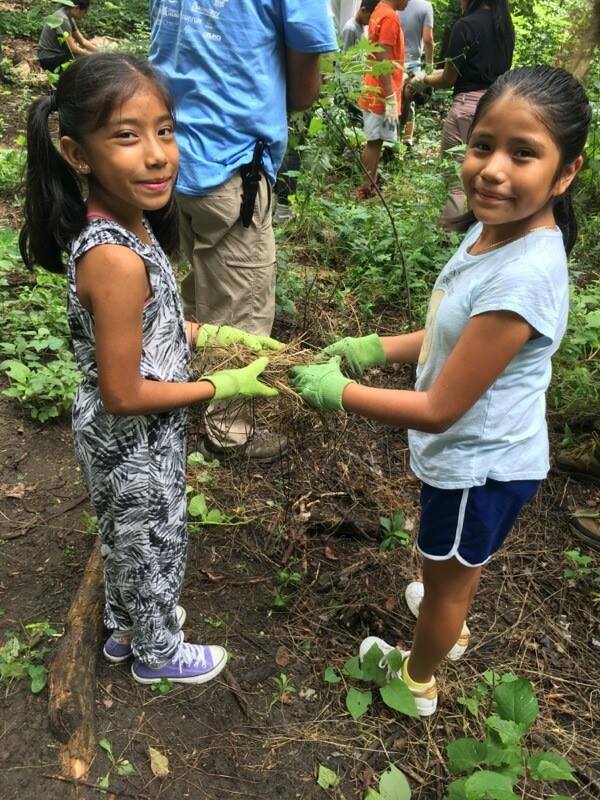 Many thanks to all of our community partners, including the Bronx River Alliance, Sean Casey Animal Rescue, Citymeals on Wheels, Habitat for Humanity NYC, Project Harmony, and more. See below for some picture from the memorable day! 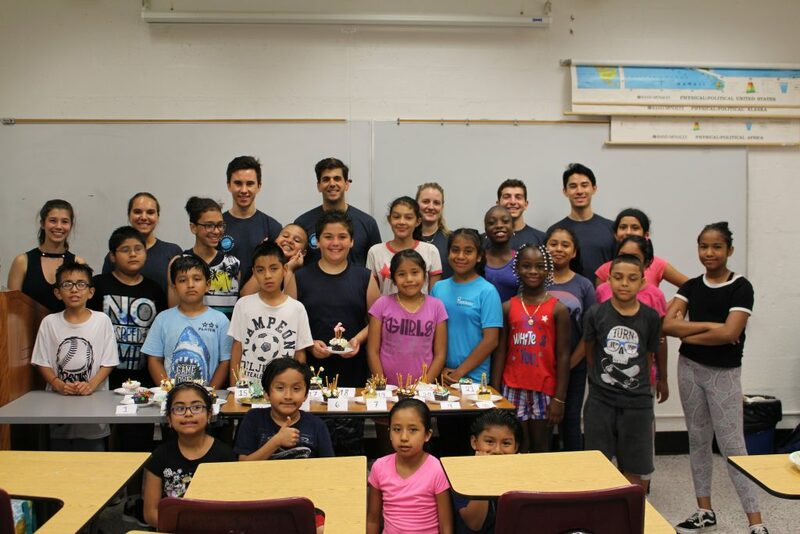 CitySquash students and an energetic group of volunteers from Blackstone braved the stormy weather for a fun afternoon of squash and enrichment activities at Fordham University. On the court, the group ran through a series of drills and games, with some CitySquashers giving pointers to the volunteers who were stepping onto the court for the very first time. 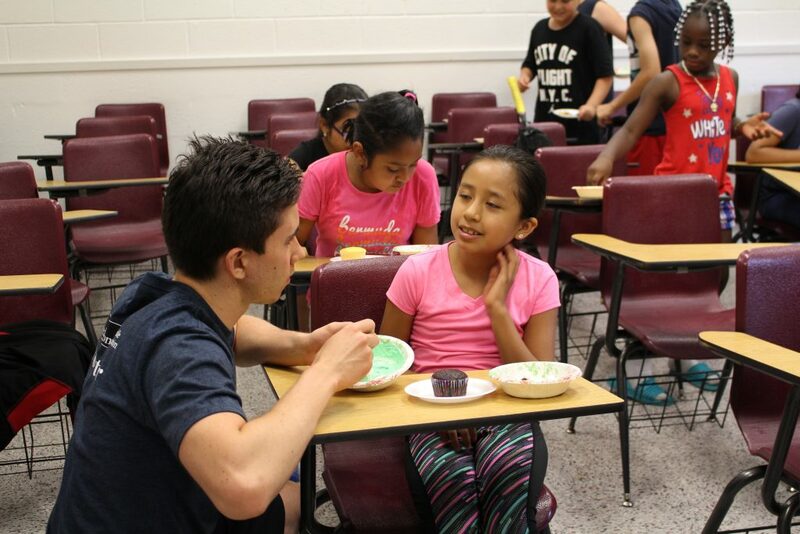 Off the court, the group from Blackstone helped out in a variety of ways: art projects with the Elementary students, Spanish grammar and vocabulary with the Middle School students, and mock interviews for our seniors and 8th graders preparing to apply for college and boarding school this fall. 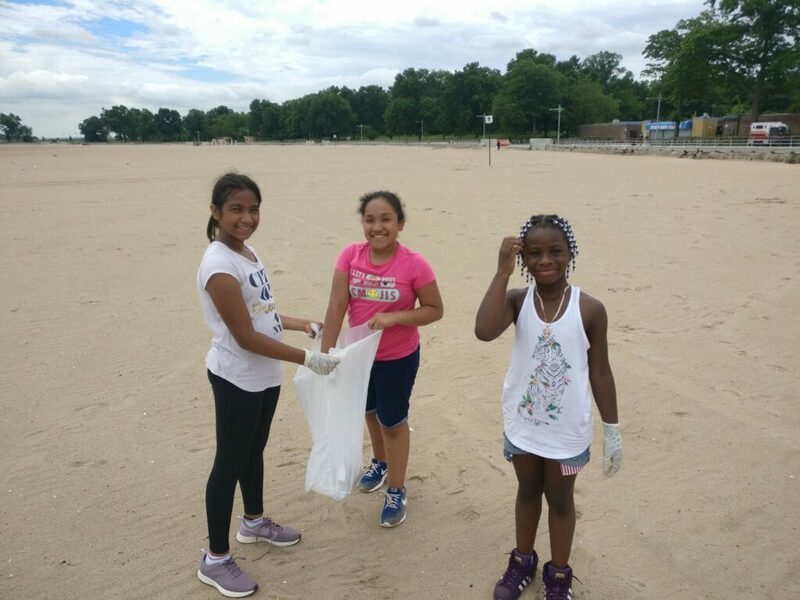 See below for some pictures from the day. Thank you again to Blackstone for all your support! 5 tours. 13 cities. Over 6,900 miles. 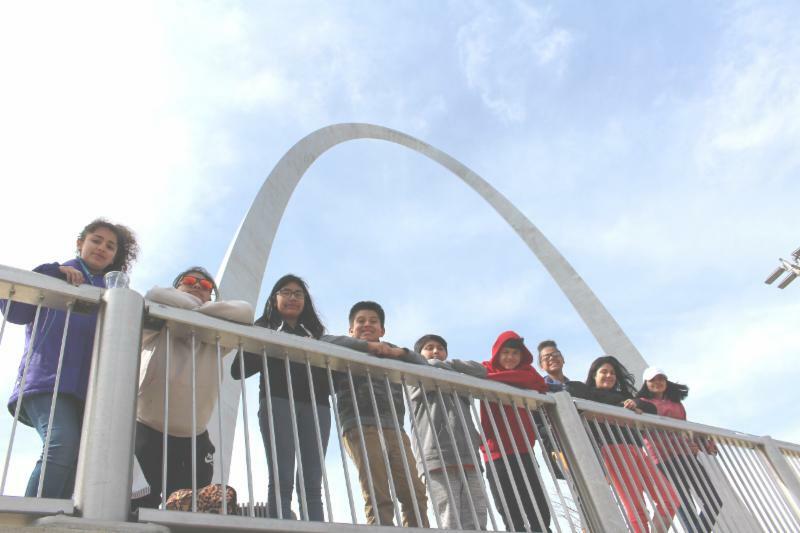 The CitySquash team spent Spring Break on the road on our annual Spring Enrichment Tours. 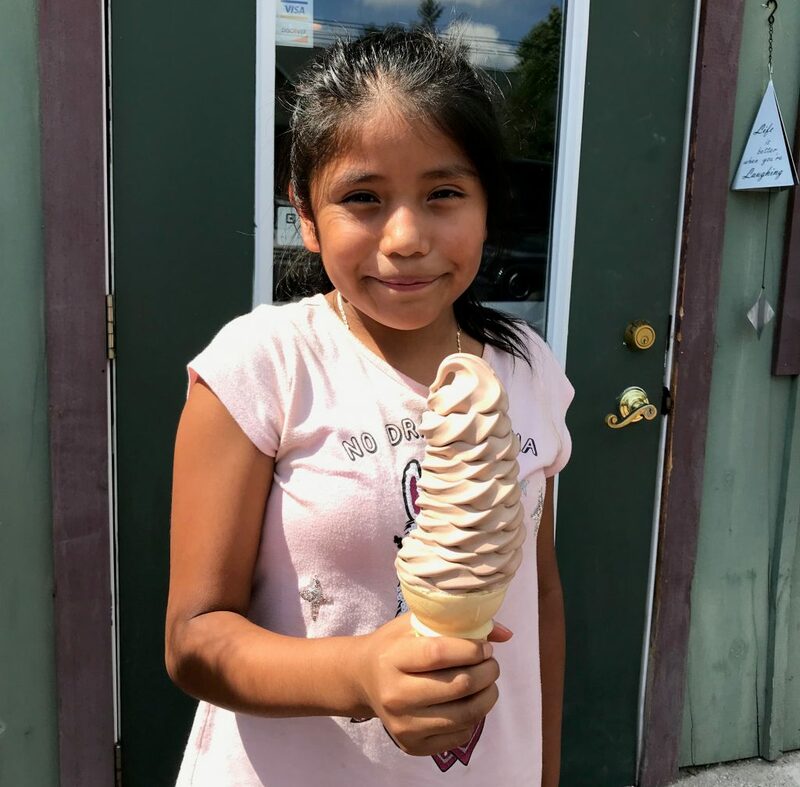 For the seventh year in a row, our team members and hardworking staff explored regions beyond NYC on these unique enrichment tours, which included museum and cultural site visits, new food and experiences, and yes, even a little squash. Below are pictures and reflections from our 2018 Spring Tours. Special thanks goes to our network of generous hosts: the Byrnes family, the Mathias family, Veer Seth, the Jipp-Shyamsundar family, Emma Head, Dave Moorish, and Rob Brooks. Thank you for supporting these lifetime memories! 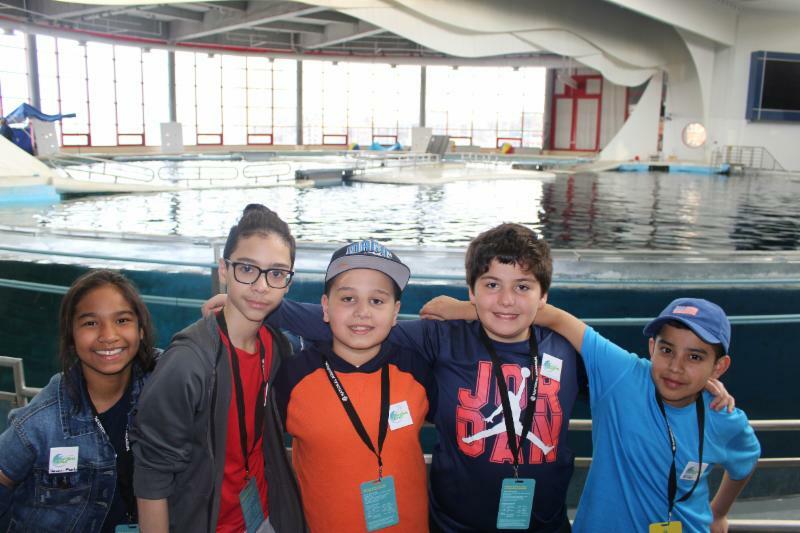 The Elementary School Tour at the Baltimore Aquarium, where they spent the night sleeping among the sharks! 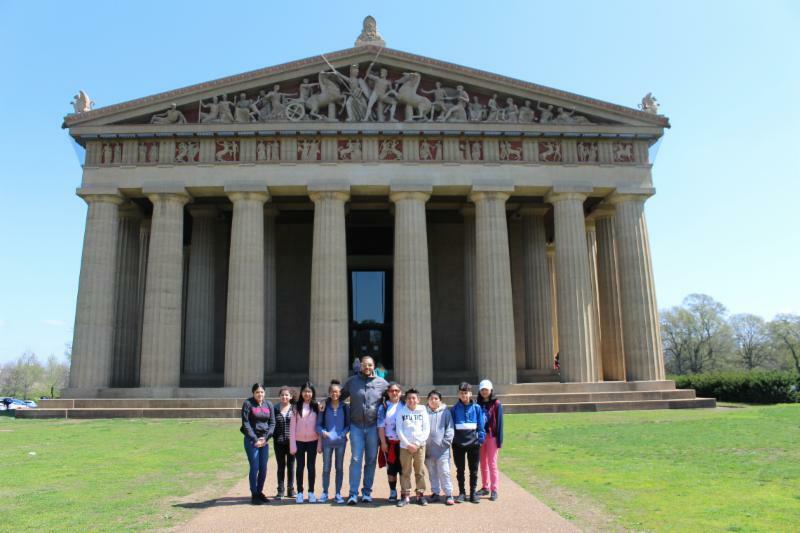 The Middle School Tour in front of the Nashville Parthenon in Tennessee. 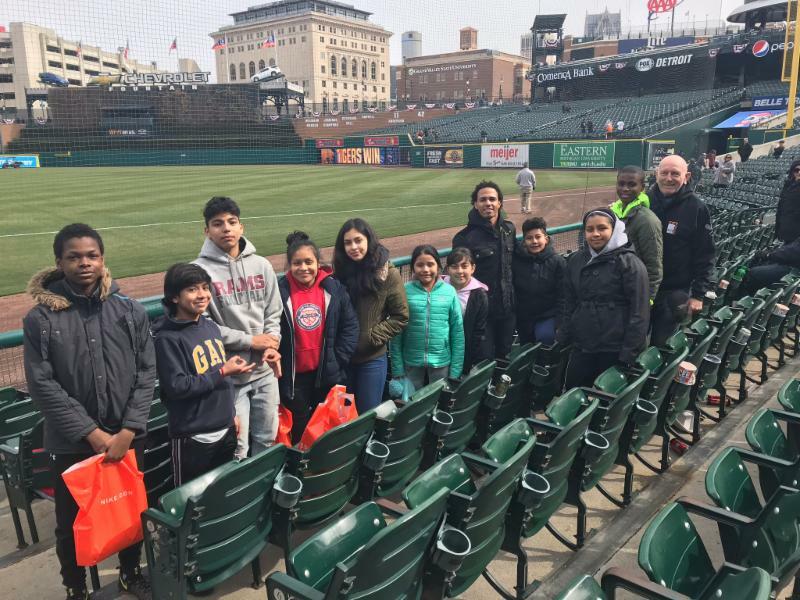 The Squash Tour takes in a Detroit Tigers Baseball game. 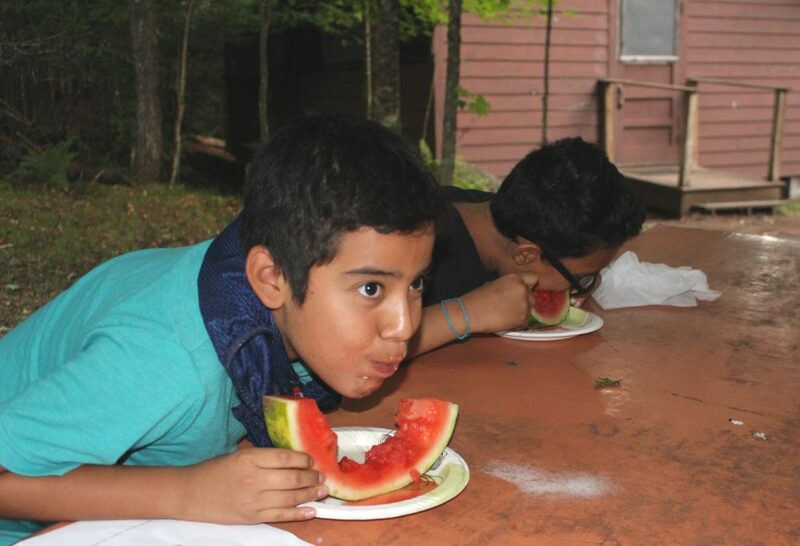 Students from the Brooklyn program enjoy some down time at their campsite in North Carolina. 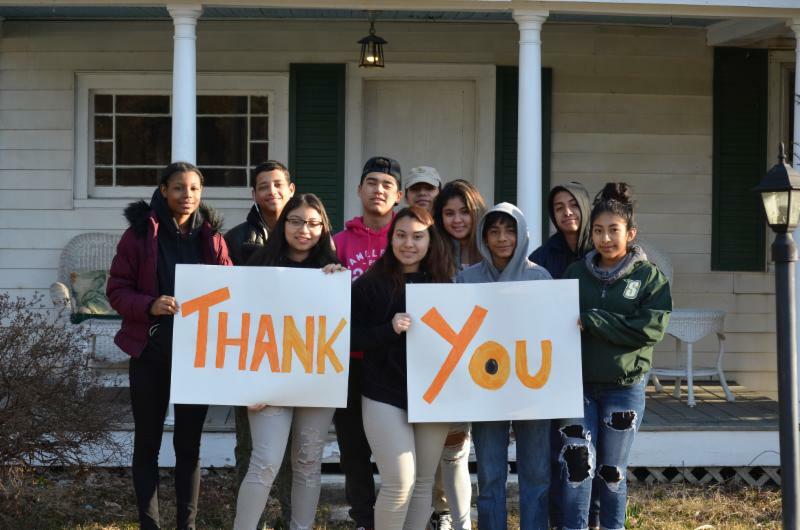 The High School Tour expresses their gratitude outside one of their host stays. Caleb Becomes a U.S. National Champion! Last weekend, CitySquash 8th grade student Caleb Boateng made history. 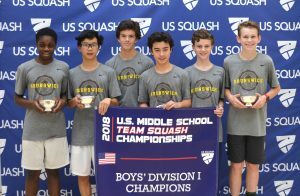 Competing at the U.S. Middle School Team Squash Championships at Yale University, his Brunswick School team was crowned National Champions! Playing #4 on the Brunswick team, Caleb was undefeated in the tournament and became the first student from any urban squash program to be in the lineup of a U.S. National Championship-winning team. Caleb’s achievement is the product of hard work and determination many years in the making. 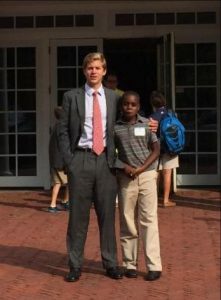 The son of Ghanaian immigrants, Caleb joined CitySquash in 2011 as a third grader at P.S. 205 in the Bronx, and quickly distinguished himself with his positivity, energy, incredible work ethic, and love of squash. Now in his third year at Brunswick, Caleb is excelling in and out of the classroom, remarkable given his daily commute. 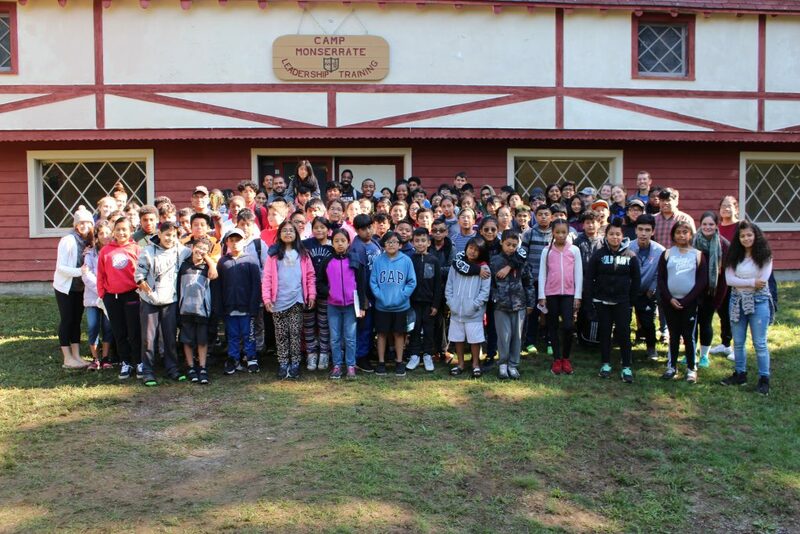 He wakes up each morning at 5AM, walks to the Fordham Metro-North train station, takes the train and then bus to Brunswick’s Middle School Campus in Greenwich–a trip that takes over an hour-and-a-half each way. 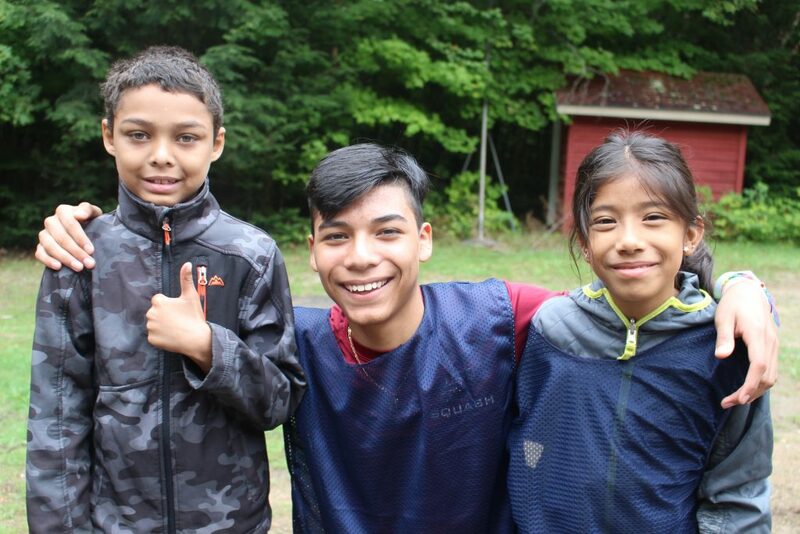 Despite all this, Caleb remains as engaged as ever with CitySquash, making after-school practices back in the Bronx, helping his younger teammates, and traveling to weekend tournaments. CitySquash is thrilled to congratulate Caleb, his family, and the Brunswick team! Mentor Gray Huffard with Caleb on his first day at Brunswick in 2015. 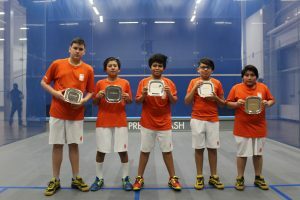 Three More Urban National Titles for CitySquash! 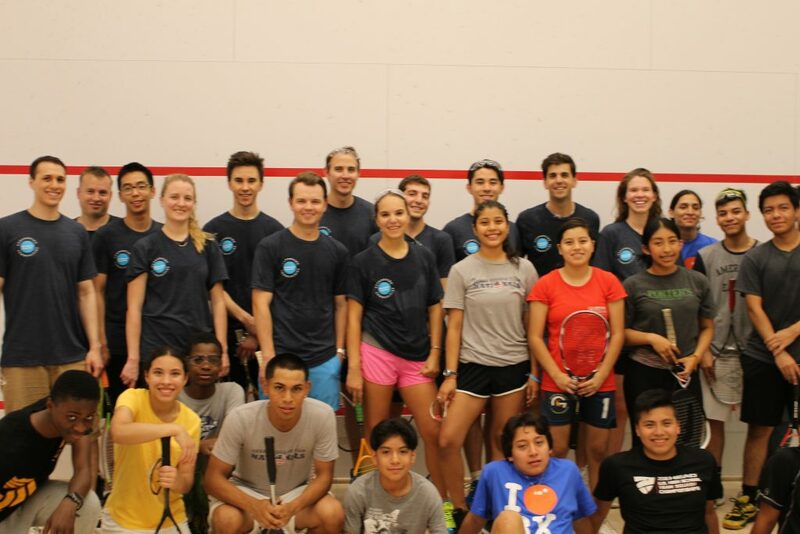 This past weekend, CitySquash competed in the Urban Team National Championships in New York City. 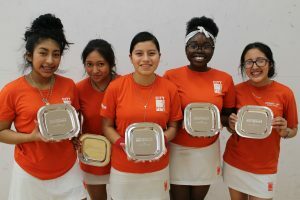 Over 500 urban squash players from 21 national and international programs came together for the annual event that is put on by the Squash + Education Alliance. Despite the depth of competition, CitySquash prevailed in three out of the eight championship divisions at the tournament! Congratulations to our CitySquash BU17, GU15, and BU13 teams for bringing home the hardware. CitySquash has now won a record 96 Urban National Titles in its 16-year history! 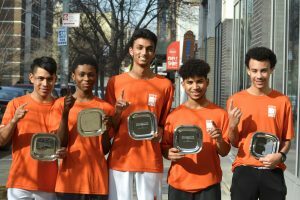 The BU13 Team Champions were comprised of a mix of Brooklyn and Bronx team members: (L to R) Dominik, Randy, Jesus, Diego, and Alexis. The BU17 team (L to R) of David, Jesse, Dylan, Yoskart, and Anthony. The GU15 team (L to R) of Brianna, Dalia, Giselle, Kimberly, and Madelein edged out CitySquash’s “B” team for first place!